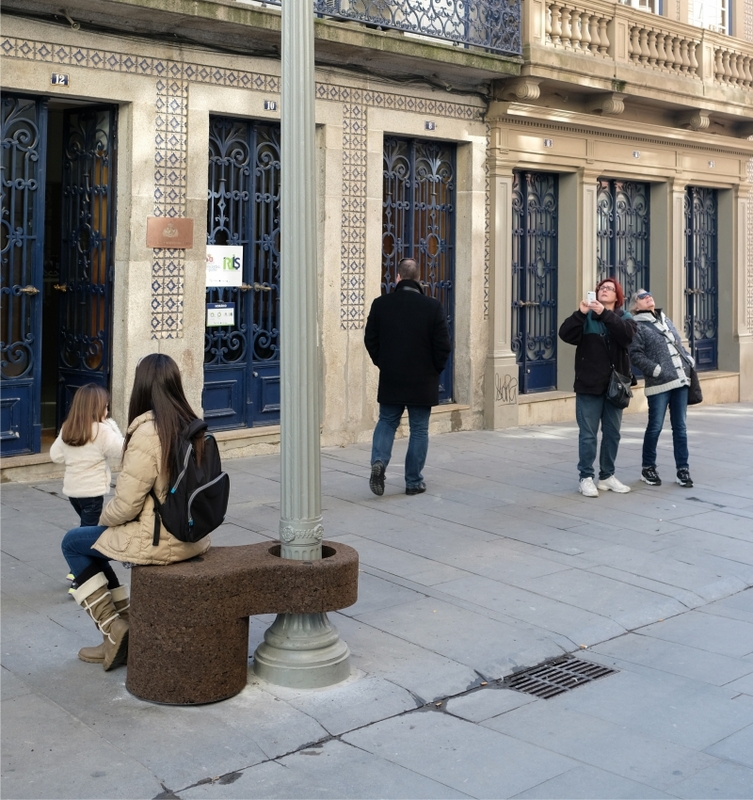 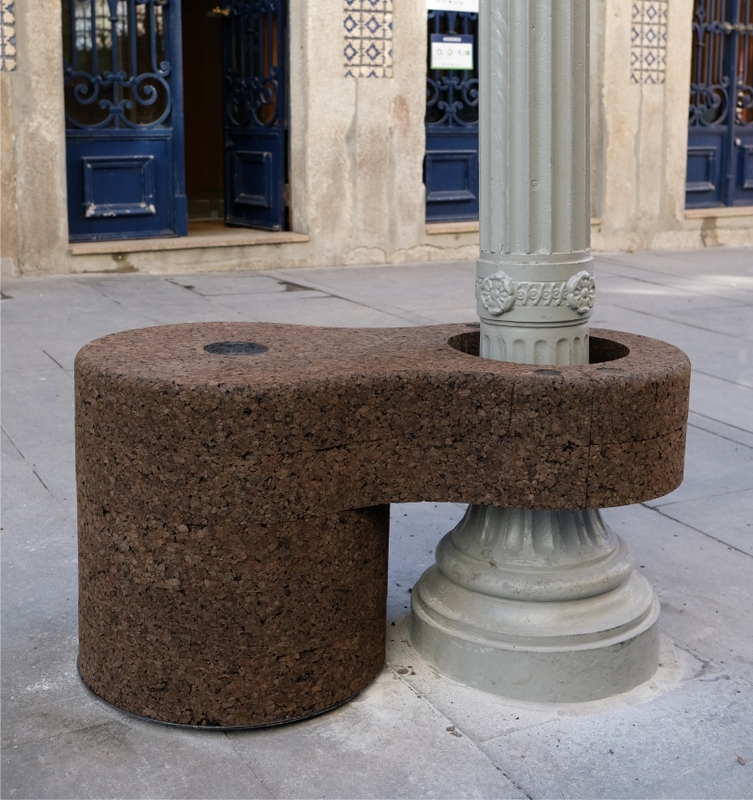 ‘clip!’ is a bench designed by architecture collecive projecto cosimo to provide comfort in an outdoor environment, which responds to the need for mechanical protection of public lighting poles, placed in areas shared by pedestrians and the cars. 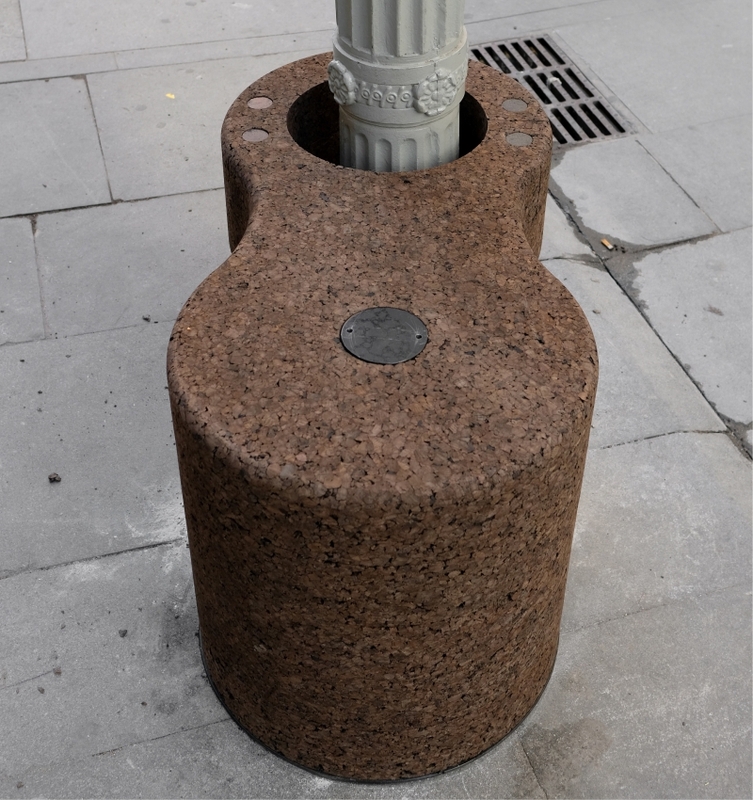 the piece, inspired by a simple juxtaposition scheme, is designed to be produced by slices in order to ease up assembly and maintenance work, allowing the individual replacement of each part. 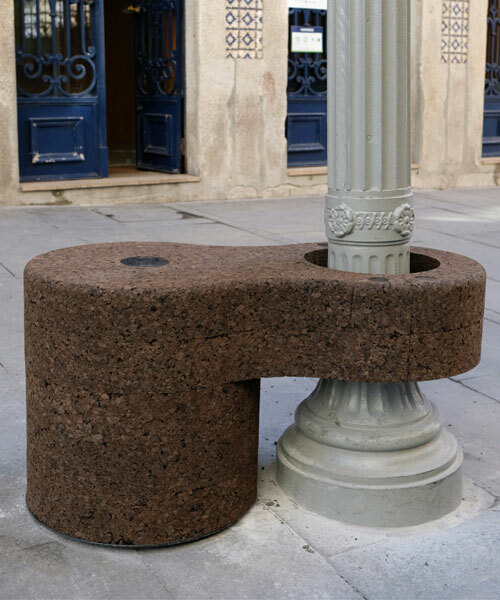 the material has been chosen for its multifunctional features — cork of national portuguese extraction is light, elastic and compressible, impermeable to liquids and gases, slow combustion, highly resistant to friction, hypoallergenic, and soft. 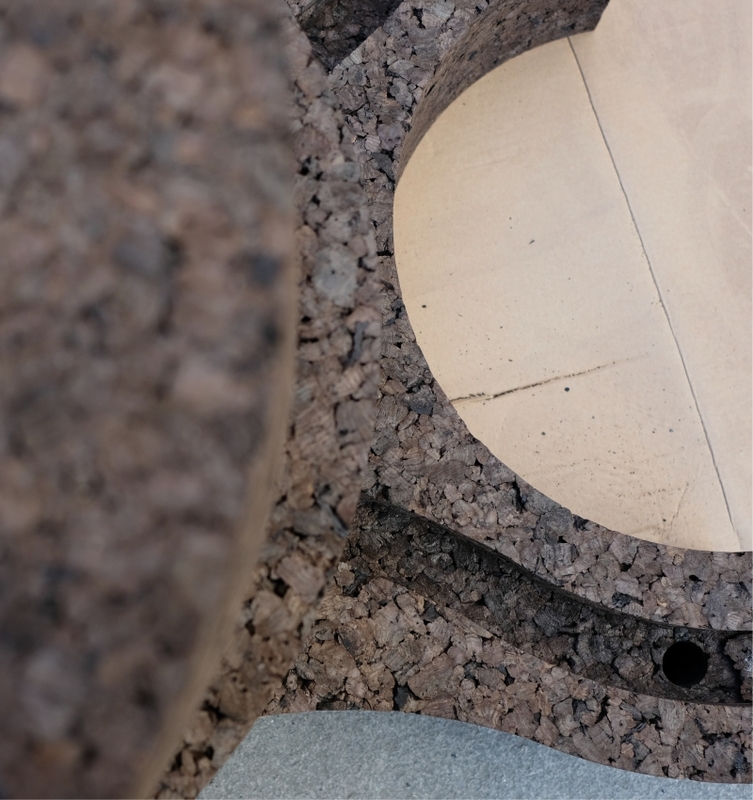 the piece’s shape and size are determined by the available raw material — blocks of 100 x 50 x 22 cm, which forces to develop a drawing within these limits.